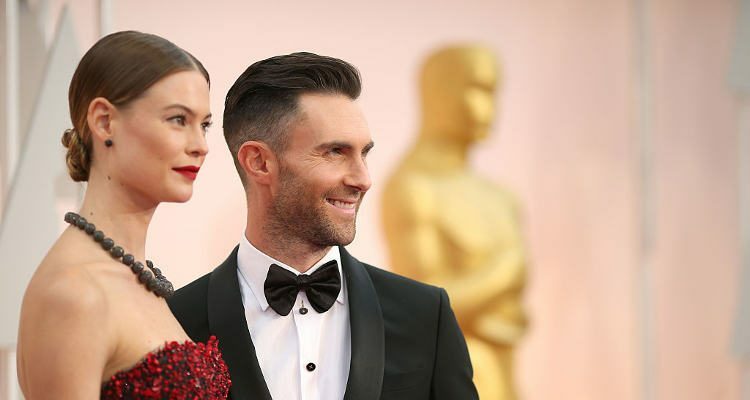 Behati Prinsloo and Adam Levine are an extremely good looking couple, and they welcomed their first child together, Dusty Rose, this past September. The couple, like almost every other celebrity couple out there, has been dogged by rumors of divorce from the minute they said, “I Do,” and that hasn’t changed at all. But the couple seem to be happy and enjoying being new parents together. The Victoria’s Secret angel is getting ready to walk the runway for the show, to be held in Paris this year, at the end of November. So it is safe to assume fitness is top of her mind at the moment. It’s impressive that Prinsloo, who is from Namibia, will be able to walk the runway roughly ten weeks after giving birth. Some women are just fortunate enough not to have to deal with tough baby fat and lose it fast. On how she gets ready for a show, the new mom told Allure in 2015, “Oh, my God, you don’t know by now how I prepare? Come on. I work out. A diet plan, exercise, weight training, working with a trainer…the model really has it down to a science—and the right kind of science. Proper nutrition and regular exercise are the two keys to losing weight and staying in shape. It really is that simple. Some people like to make it more complicated than it is when all you have to do (barring any medical considerations) is get serious and committed about eating right and working out regularly. There is no way that the body won’t respond positively. Will you look like a Victoria’s Secret model? Maybe not, but you will look like your best self. That’s for sure. Prinsloo has been an angel with Victoria’s Secret since 2008, so she knows exactly what needs to be done to get in shape (though maybe having a baby and dealing with post-baby body issues has made things more difficult for her; we don’t know). All that can be assumed is that this model takes her job seriously and will overcome whatever hurdles might come between her and looking her best in Paris at the end of the month. When not training for her job as a model, Prinsloo loves to go to the beach because she says it is where she feels most at home. She’s a mermaid after all, according to her. Swimming is a great cardio exercise, and she loves it. She swam a lot when she was in school, so it makes her happy when she can squeeze it in to her busy life. As for her diet plan, in an interview with Elle magazine in 2015, the Namibian beauty said that she isn’t a diet freak and isn’t an extremist with how she eats. She admits to being a snack stealer and is always stealing Lily Aldridge’s snacks. The one thing she will never do again? Juice cleanses. By the third day of one she did try, she says she wanted to kill everyone. It is best to eat real food and not just consume juices to lose weight. The fat lost will only come back once you start eating again. Schott, J., “9 Beauty Secrets I Learned From Behati Prinsloo,” Elle web site, June 29, 2015; http://www.elle.com/beauty/q-and-a/a29073/9-beauty-secrets-i-learned-from-behati-prinsloo/, last accessed November 10, 2016.